OTTAWA -- The Bank of Canada is holding its key interest rate at 0.75 per cent -- for at least another month. In its latest rate announcement, the central bank said Wednesday it stuck with the rate because the evolution of oil prices as well as the global and Canadian economies had largely unfolded in line with its projections. The bank underlined several areas where it said economic conditions had hit close to its assumptions: the stronger performance in non-energy exports and investment, the economic growth reading for the final three months of 2014 and core inflation near its two per cent target. "In light of these developments, the risks around the inflation profile are now more balanced and financial stability risks are evolving as expected,'' the bank said in a statement. It was the bank's first policy announcement since January when governor Stephen Poloz caught markets by surprise by lowering the rate a quarter of a percentage point from one per cent. In explaining January's rate reduction, the governor said it was necessary as insurance because the drop in oil prices would be "unambiguously negative'' for the economy. Most experts had anticipated the bank's decision to hold the line on the rate Wednesday, but only a couple of weeks ago, many of them had predicted a second cut. Those expectations changed over the past week after fresh data releases and remarks by Poloz led them to believe the bank would stand pat. Last week, Poloz said January's rate drop bought the bank extra time to assess the impact of oil's decline. Some economists expect the bank to introduce a cut at its next scheduled rate announcement on April 15, when it will also release its spring monetary policy report. 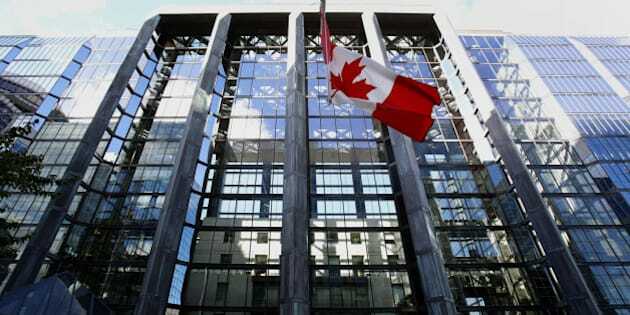 On Wednesday, the bank said financial conditions in Canada had "eased materially'' since January, in response to its recent rate reduction and global developments. The bank also said the bulk of the oil slump's negative effects will strike the Canadian economy in the first half of 2015 -- and could be more front loaded than it had predicted. Crude prices, it added, were close to the January projection.